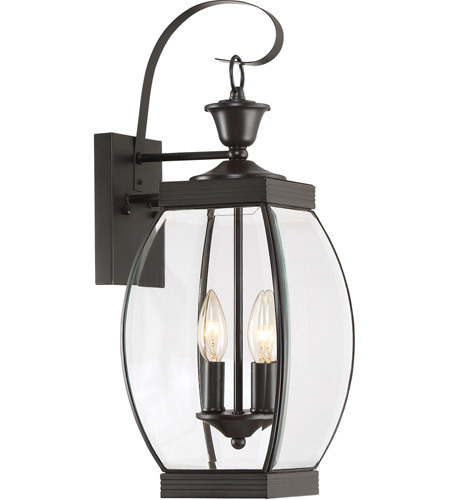 This 2 light Outdoor Wall Lantern from the Oasis collection by Quoizel will enhance your home with a perfect mix of form and function. 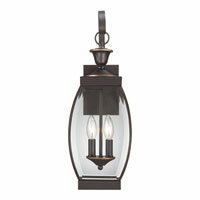 The features include a Medici Bronze finish applied by experts. This item qualifies for free shipping! 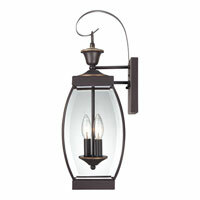 Q What outdoor ceiling light goes with this lantern? 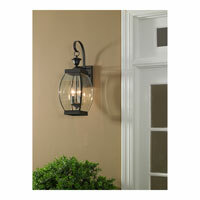 A The Quoizel Oasis 2 Light Outdoor Wall Lantern OAS8408Z does have a matching Outdoor Hanging Lantern OAS1909Z from the same collection. 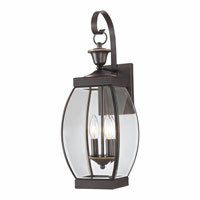 Or there is the Quoizel Newbury 3 Light Outdoor Flush Mount NY1794Z which has the same Medici Bronze finish. Q Does this light have a post light to match? 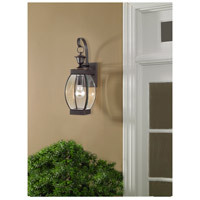 A Yes, the Quoizel Oasis 2 Light Outdoor Wall Lantern OAS8408Z has 2 matching post lights, the 3 Light OAS9009Z and the 4 Light OAS9011Z. For a matching post, see the PO9110Z.